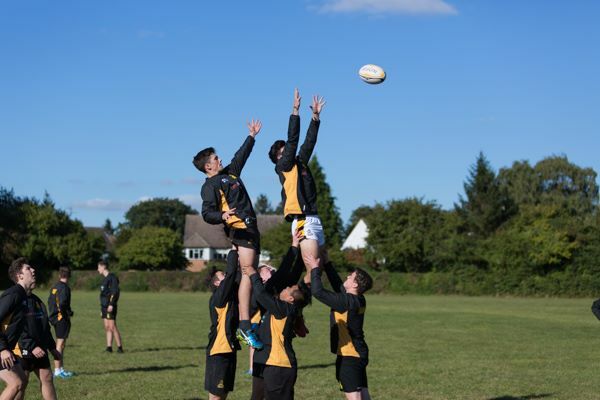 BTEC Diploma in Sport offers an exciting opportunity for students who have a passion for sport and want to understand how to improve performance through theory and practical work. The course is broken down into 9 contrasting units and each student will be expected to complete a number of specific assignments in order to demonstrate a clear understanding of the course content and assessment criteria. Students are able to gain either a Pass, Merit or Distinction in each assignment and this will then be collated to provide a subsequent final mark. There are 3 externally assessed units which take the form of written examinations, in two of which you are allowed to take in prepared notes, and 6 internally assessed units. The successful BTEC student will possess a passion for all sports and the drive to improve their knowledge further. As the course is varied in terms of the theoretical side, the student should also have an interest in science as well as all aspects of current sporting affairs. The course requires students to be well organised in terms of independent learning and to be able to meet deadlines. Specific subject knowledge is valuable in its own right, but the BTEC also has strong transferable links with Biology and Psychology. During the course students will develop their time management skills, the ability to work independently and within groups, further develop confidence and presentation skills, teach lessons to year 7 and 8 students, and hone their essay writing and practical skills. All of the above will lead to students developing their confidence for a career in the sports profession or further study at university. Where could a BTEC Diploma in Sport take me? There are a range of exit routes for students studying BTEC Sport and in recent years many have gone on to further education at institutions such as Loughborough University, Leeds Beckett and University of Northumbria to study a range of sports courses. Several students have chosen to follow a career upon finishing the course which have included sports coaching, personal training and training as an airline pilot. Therefore, there are a whole range of opportunities available to a student studying BTEC Sport with many of the skills they develop being highly transferable to the workplace and further education.